Thank you for choosing Lake Okeechobee guide service. We will do our very best to assure you of a professional, quality, fun-filled and relaxing day. Your business and repeat business is what makes it possible for us to do this, and we realize that you make our dreams become reality. These fishing questions “F.A.Q.” should help make planning your trip a worry-free and memorable experience. We look forward to talking and fishing with all of you. We have put together a list of some of the most commend asked questions. Please do not hesitate to contact us if you don’t find the help you need. We can be reached by filling out our email form or calling(888) 321-0202.
polarized fishing glasses, hat, long and short sleeve shirt, and rain gear if you prefer. In and around all of Lake Okeechobee, on the North end around Kissimmee River and City of Okeechobee. On the South end around Belle Glade in Palm Beach County, also on the East side of the lake considered JS and Pahokee. The Westside from Moore Haven to Lake Port. 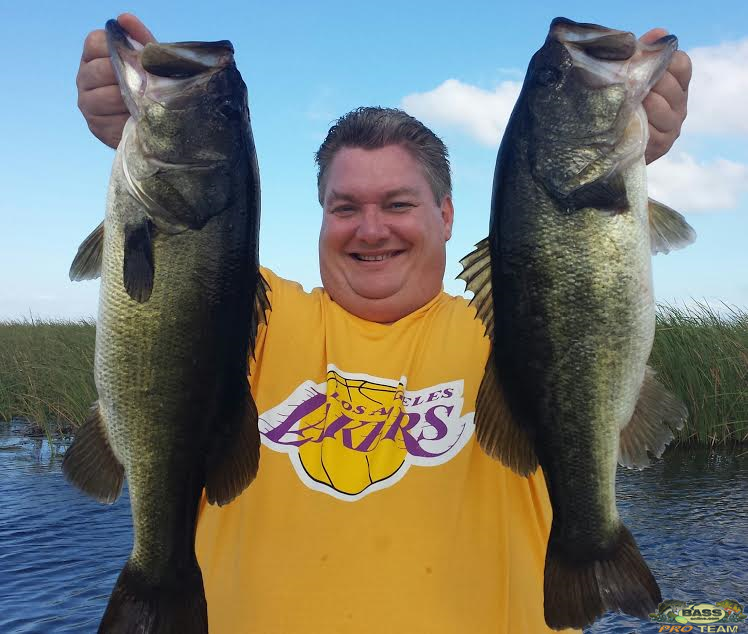 with easy access from Ft Myers We are truly the most versatile guide service on the lake to fish the entire lake. This is important to you, we will put on the best fish biting at that time. We are not forced to fish near a certain marina or hotel because of where we are located. How many days should I fish? Of course, fish as many days as you can. The more time on the water, the more opportunities you will have. If fishing three days or more, possibly break up the days with a day off in between so you don’t fish every day. That protects you against the outdoor elements, weather and makes it much more enjoyable if you are not used to fishing every day. Can you handle group & company trips? We can arrange for multiple boats/guides, as many days as you’d like to fish. We are located around the entire lake, so no matter what area is convenient for you, it is convenient for us. 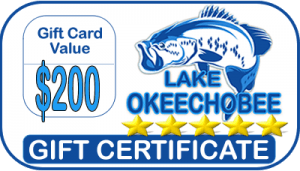 Remember, we are the largest provider of charter fishing trips on Okeechobee, so you will get professional Okeechobee fishing guides every time. We offer big fish tournaments with a weigh-in for your group, it all can be arranged. We book more rooms around the lake than anyone, so we know and have accommodations to meet your needs. Meals, BBQ’s you name it, we can accommodate it. Just let us know what you need, and we’ll set it up! Can I use my own tackle? YES, if you fill more comfortable with your own, please bring it. We will always have plenty for those that don’t. We are on “your” fishing trip, we can target many different species. Although the most common on Okeechobee is the largemouth bass we also fish for crappie, bluegill, and catfish among others. No, you will never have to worry about sea sickness with us. Remember, there are plenty of places to hide on Lake Okeechobee from the weather and the fish generally eat really well in those conditions. You are required to have a freshwater fishing license, so you have three different options to choose from to get one. The good news for Florida residents is ages under 16 and over 65 are not required to have one! Once you have arrived: – Licenses can be purchased at Bass Pro Shops, Wal-Mart or local tackle shop. At the boat ramp or before: – Dial (888) FISH-FLORIDA and they will provide you with an authorization # over the phone. Our most convenient, on the internet at a Florida fishing license. Resident – 1year $17.00 Is it hot, will it rain? In the summer it is hot and it can rain almost any day, but mostly in the afternoon. Be prepared. Put sunscreen on first thing in the morning and bring rain gear if you have it, if not we usually do. Do I bring food and water? We supply water and some soft drinks on regular trips. We recommend you bring your favorite drink and a snack. Yes, what’s a fishing trip without a cold beer. So, you are permitted if so desired. Check out our lodging page for that info. Be sure to know what city is closest to you or more important closest to the fish! Absolutely, Okeechobee Fishing is perfect for kids. The action is consistent, the fish are plentiful. There are alligators, birds, snakes, and other exotic species that hang around the canals and lake to keep them interested. Restroom facilities are usually close by most fishing areas. We have no problem taking restroom breaks when needed. We enjoy working with women or children and instructing them on various fishing techniques, so all family members are welcome. No, unless you ask us to. Our job is to put you on the fish and give you the information you need to hook, fight and land your trophy fish. We have done these thousands of times, we know where the fish are, there is no need for us to “locate” them on your time. All rates are for one or two people per boat, a third person can be added. For a complete list of our rates please click here! We prefer to begin the majority of our trips at daybreak. But, will schedule trips to begin at other times upon your request. Expect to be on the water for at least an hour longer than your scheduled trip. We do not count time only fish! If we’re meeting at a specific location, be sure to have your itinerary emailed or faxed in advance. We will recommend the start time, it generally is between 6 & 7 am. To be picked up at the dock or your hotel please allow for extra time. If you have more Questions? Contact us at our contact page for the fastest response use the messenger chat or Whatsapp below.